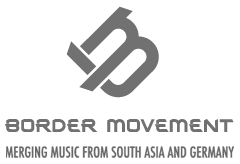 Bordermovement Lounge; a platform for both established and upcoming artists alike, as well as people who simply want to discover the sounds of freshest acts on the local scene. This groovy space with its quality sound system, laidback atmosphere and colourful take on the decor of the Institut’s courtyard, will open its doors to the public. With a small and careful selection of artists showcasing their work each night, the lounge hopes to foster a more open and interactive culture of electronic music performance, as well as more well-rounded appreciation from the local music community. Daffy Maestro, or Stro as they call him, is a bit of an enigma: Seemingly more prolific than his Sri Lankan counterparts, there is free flow to his music, an almost analog warmth that overawes the tinny 1-0-1-0 of the digital revolution. He has range too, from lo-fi noodling and ambient to (what our ancestors used to call) trip-hop. In an ideal world, Stro should be headlining artsy evenings at Colombo’s Barefoot (or at least playing the Side Room). But he seems a bit removed from the scene, instead quietly and independently making music since the last decade. Kandy, the country’s multi-layered hill capital where he hails from, seems to influence his similarly layered music. Harshan Galagage, Sarani & Uvindu Perera, Randev Seneviratne and Sunara form a group of musicians exploring the boundary between instrumental and electronic music with their original compositions.